With the news of Mark Bernhard taking the reigns at Holden, the Australian brand also announced the introduction of 24 new products will be available by the year 2020. Stefan Jacoby, GM Vice President and President of International Operations, announced the new vehicle initiative alongside Bernhard’s appointment. The 24 new products will also include 36 new powertrain configurations for the Holden brand over the next five years. Specifically, Jacoby did reveal a next-generation Barina Spark will debut in the first quarter of 2016, and a global replacement for the Captiva will be part of the new vehicle strategy. Another unnamed SUV will be included to ensure comprehensive offerings in the crucial SUV market segment. The Cascada convertible and Astra hatchback will launch this year. Holden vehicles will continue to be tested and refined at the Lang Lang proving grounds in Victoria. Holden’s global design center will continue to influence home market products and global products around the world. The storied Commodore name will live on in the form of an Opel sourced large-sedan replacement, arriving in 2018. Holden will receive a proper rear-wheel drive V8 sportscar, either the Corvette or Camaro. Through dissemination of this information, we can also take educated guesses as to what other products will wear the Lion badge. The Opel Corsa is a likely candidate to make the journey down under, and the Cruze will most likely stick around, being sourced from the Korean assembly plant. 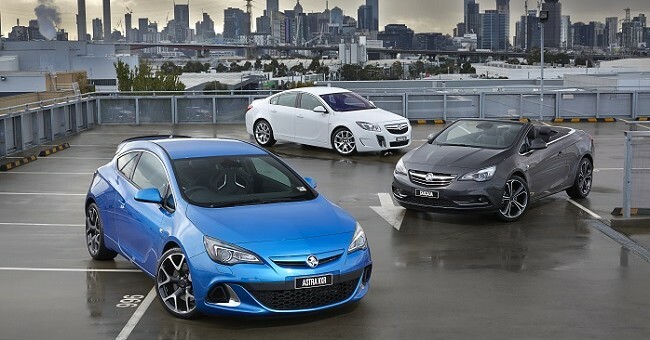 Wildcards include a next-generation Holden Volt, and a possible Holden Silverado. The reaffirmed product goals show GM’s seriousness to turn Holden into a genuine national sales brand with great consumer power, as the Australian brand looks to become the country’s largest seller of automobiles by 2020. The Spark is pretty much pointless in Australia and is therefore a slow seller. Better off getting rid of it altogether. The next Craptiva will have to have masive improvements over the current one which is known for a very poor front end design. The Cruze will stop selling as well as it currently is after it stops being assembled here. The Volt will again sell very poorly. The first Holden Insignia VXR just ran off the production line at the Rüsselsheim Opel plant, in Germany. Watch this space for more news and photos of the Holden Insignia VXR production.